In this 4h mixing course, 6x Grammy-winning Mixer Richard Furch (Prince, BoyzIIMen, Outkast, The Weeknd) teaches you the secrets to crafting platinum-selling Pop mixes. 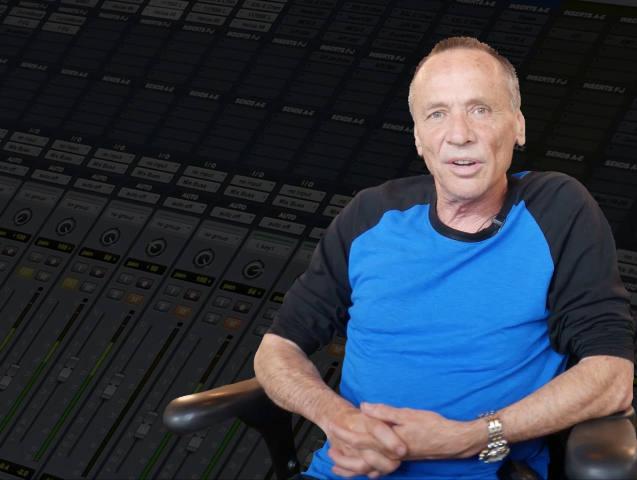 Grammy-winning Mixer Bob Horn (Usher, Nelly, Akon,Timbaland) teaches you how to craft radio-ready and danceable R&B mixes. Platinum-Selling engineer David Gnozzi, (MC Solaar, MixbusTV) teaches you how to craft Hip Hop tracks that can compete with any commercial release. Learn the secrets to crafting platinum selling mixes: 11x Grammy nominated mixer Mark Needham (P!nk, Imagine Dragons, The Killers) walks you through a full mixing session and shows you how to achieve a professional sound using plugins. 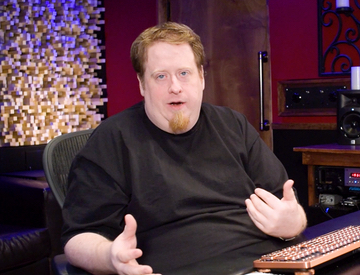 Glenn Fricker is one of YouTube’s most followed Audio Engineers. 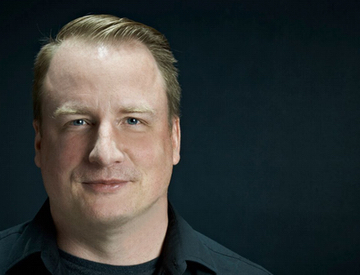 His recording and mixing tutorials have been watched tens of millions of times. 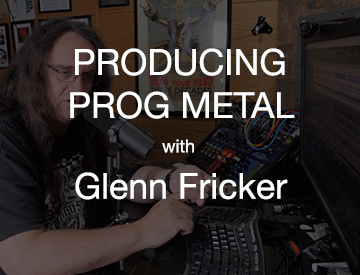 Join accomplished recording engineer, Glenn Fricker, as he teaches you how to produce a killer Prog Metal track! 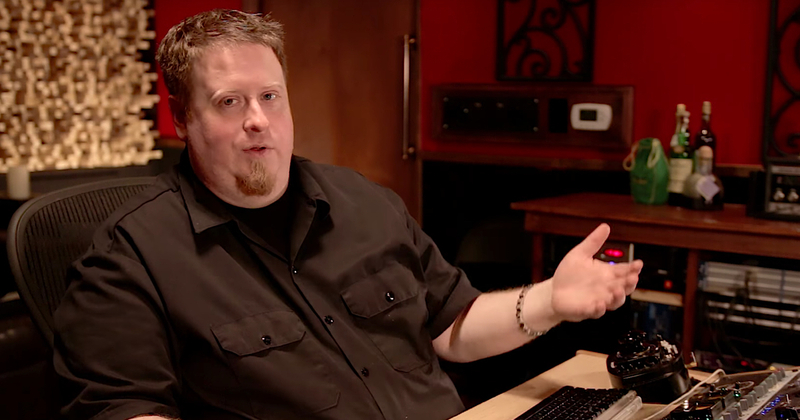 Learn how to achieve the Classic Rock sound using affordable plugins: Follow multi-platinum engineer, Warren Huart as he mixes the Rock song ‘Gypsy Of Love’ by Robert Jon & The Wreck completely in the box. 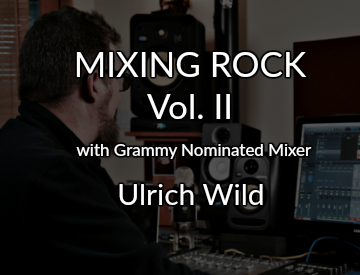 Grammy nominated mixer/producer Ulrich Wild (Pantera, Deftones, White Snake) shows you how he mixed the Rock song “Ick Switch” by Death Valley High. 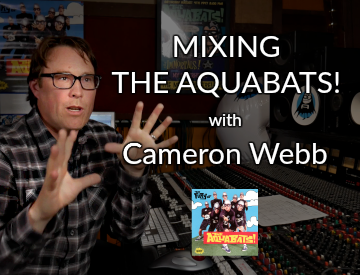 Learn how music history was made: Grammy winning producer/ mixer Cameron Webb shows you how he mixed The Aquabats song “Super Rad!”. 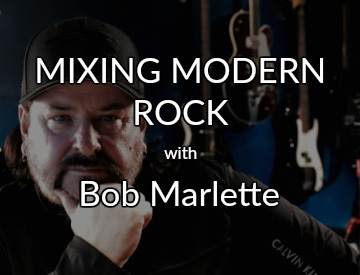 Bob Marlette has had a huge career in music stretching from Session Player, Hit-Songwriter, Multi-Platinum Producer, Engineer and Mixer. 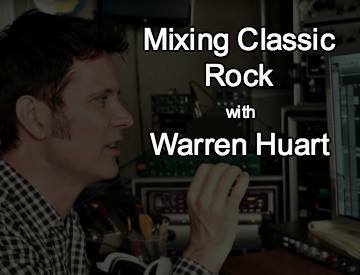 In this 3 hour course he shows you how to mix rock tracks using plugins only. 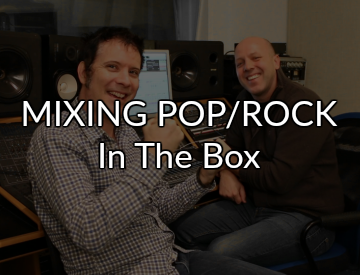 Chicago based recording engineer, producer, and mixer Ken Sluiter (James Blunt, Weezer, Augustines, Ok Go, Heart) and multi platinum engineer, Warren Huart (Aerosmith, The Fray, Ace Frehley), show you how to mix a pop/rock track in the box. 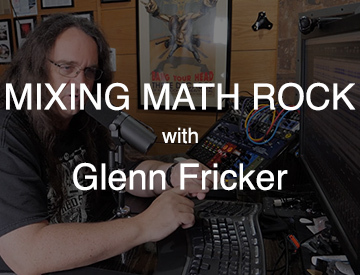 Glenn Fricker is one of YouTube’s most followed Audio Engineers. His recording and mixing tutorials have been watched millions of times. Watch as he takes you through his unique mixing techniques. 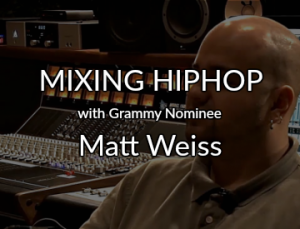 Grammy nominated engineer and audio mentor Matt Weiss (Dizzee Rascal, Juicy J, MURS and Royce Da 5’9″) shows you how to mix hard hitting HipHop tracks using plugins only. Grammy winning and multi-platinum selling mixing engineer Bob Horn (Timbaland, Jay-Z, Usher, Nelly, Akon, Lupe Fiasco) shows you how to mix massive HipHop tracks using plugins only. 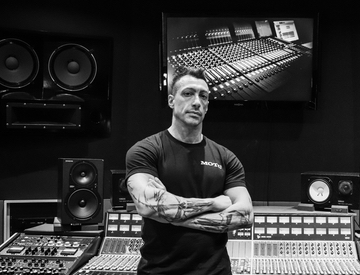 Grammy nominated and multi-platinum selling mixing engineer Ariel Chobaz (Nicki Minaj, Eminem, Rihanna, Drake) shows you how to mix hard hitting HipHop tracks using plugins only. Learn how Rock ’n’ Roll history was made: Grammy winning producer/ mixer Cameron Webb shows you how he mixed Motörhead’s latest release “Electricity”. Join multi-platinum mixers Bob Horn and Warren Huart as they take you over their shoulders for the song ‘Shoot You Down’ by the band, Little Empire. Follow professional engineers Bob Horn (Usher, Timbaland, Ne-Yo, Akon) and Erik Reichers (Bono, Snoop Dogg, Eric Benet) as they walk you through you their process of mixing the pop/rock song: “Nightfall” by Little Empire. Grammy winning engineer Phil Allen teaches you how to mix the Pop song “Of This I’m Sure” by Morgan Mallory in the box, using mainly stock plugins. Learn how to get better mixes with the gear you already own! Grammy winning engineer Phil Allen gives you a deep understanding of EQ and Compression to achieve clarity, definition, detail and fullness in your mixes. Grammy winning producer/mixing engineer Cameron Webb (Motörhead, Pennywise, NOFX, Sum41) shows you how to mix an edgy, in-your-face Punk records using Stock Plugins. Follow multi-platinum engineer, Warren Huart as he takes on the song ‘Love Me I’m Rich’ by independent artist, Amanda Hardy. Ulrich Wild is one of Rock’s most in-demand mixers and he joins Pro Mix Academy to breakdown his process for the song ‘My Final Hour’ by Snakebite. Grammy nominated mixer/producer Ulrich Wild (Pantera, Deftones, White Snake) shows you how he mixed the Space Metal song “Triton” by Metalocalypse and Dethklok creator Brendon Small. Discover how professional mixers, Warren Huart and David Glenn take on the song ‘Young & Restless’ by indie rock band, The Gallery. Follow professional mixers Warren Huart and David Glenn as they take on the song ‘Back When We Were We’ by independent singer/songwriter, Pete Mroz. Brad Wood (Placebo, Smashing Pumpkins and many more) is sharing his approach to mixing the modern pop song: “Hurricane” by Karey Laurel. ‘The Fretless Monster’ and session-ace Tony Franklin (The Firm, Jimmy Page, Whitesnake) shares his creative process and playing techniques for bass recording and production. Follow professional drummer Matt Starr as he takes you through his complete process of producing and recording drums in a real-life situation. Follow producers/engineers Bob Horn(Timbaland, Usher, Nelly) and Erik Reichers (Bono, Snoop Dogg) as they transform a rough song idea into a full-blown production and mix it. Producer/Engineer and Audio Mentor Rob Mayzes shows you how to produce, edit, mix and master professional sounding music in Logic Pro X.
Grammy winning engineer Phil Allen teaches you how to transform a rough vocal-guitar demo into a full blown radio-ready production: Recording, Arrangement, Finding Parts, Editing and more. In this 4h mixing course, Grammy-winning Mixer Bob Horn (Usher, Nelly, Akon,Timbaland) teaches you how to craft chart-topping Pop mixes. 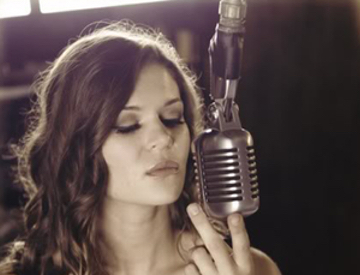 In this online course, singer/songwriter and composer for film and video games, Mimi Page, walks you though her process of producing captivating songs on a minimalistic homestudio setup.